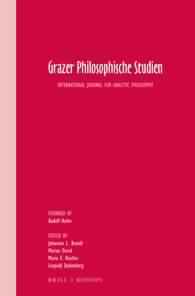 This special volume of Grazer Philosophische Studien features twelve original essays on the relationship between knowledge and questions, a topic of utmost importance to epistemology, philosophical logic, and the philosophy of language. It raises a great deal of issues in each of these fields and at their intersection, bearing, inter alia, on the theory of rational deliberation and inquiry, pragmatism and virtue epistemology, the problems of scepticism and epistemic justification, the theory of assertion, the possibility of deductive knowledge, the semantics and pragmatics of knowledge ascriptions, the factivity of knowledge, the analysis of concealed questions and embedded interrogative clauses, propositional attitudes and two-dimensional semantics, contextualism and contrastivism, the distinction between knowledge-that and knowledge-how, the nature of philosophical knowledge, and the problem of epistemic value. Addressing these as well as many other importantly related issues, the papers in the volume jointly contribute to giving an overview of the current state of the debates on the topic, and a sense of the directions in which philosophical research on knowledge and questions is currently heading.